Remember when we talked about crock pot gumbo? I waxed nostalgic about that creole place in Lexington I used to love — Jozo’s. 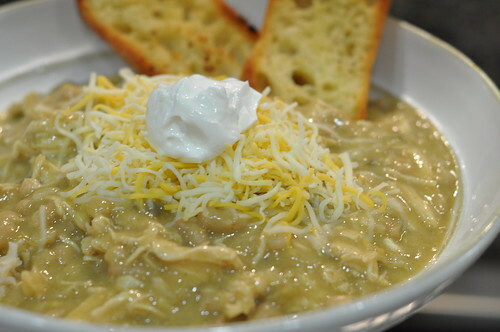 In addition to their fabulous gumbo, jambalaya, and etouffee, they also made an especially delicious white bean chicken chili. Well, this is not the recipe. BUT… it’s similar. My Seester sent me a recipe for chicken chili a couple of years ago that our friend Rebecca had sent to her. While it was delicious and all the flavors were there, it was more of a soupy type of chili. I had Jozo’s thick, gravy-like chili in mind, so I added a roux to the process. It only makes the simple recipe slightly more complicated. You see, I do not have a knack for simplification; it is my style to complicate things. (Just ask my husband.) But it’s REALLY good and totally worth adding the extra step. 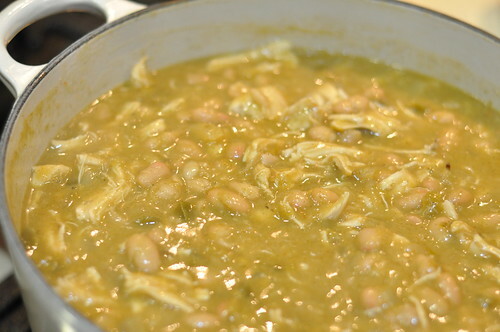 So when Seester requested a recipe on the blog for white chicken chili, I realized I had just the thing. Then I realized it was basically the same recipe she sent to me. Wonder if she’ll notice. So I’ll have my chili the same way I listen to Christmas carols — with the air conditioner cranked waaaaayyyy up! A note before you start. 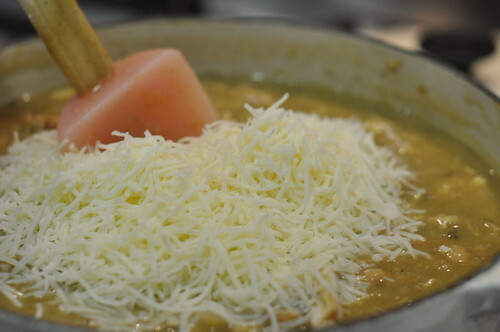 This is another spicy dish. 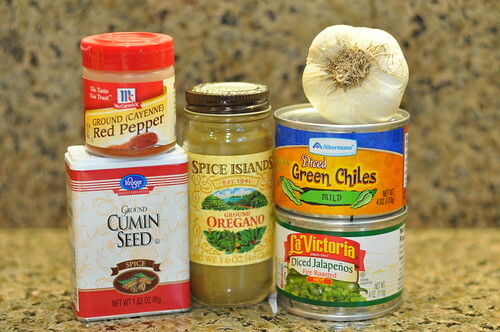 So you wimpy types and those cooking for kids, use two 4-oz cans of mild diced chilies, leave out the jalapenos altogether, and you may want to cut back a little on the cayenne pepper. 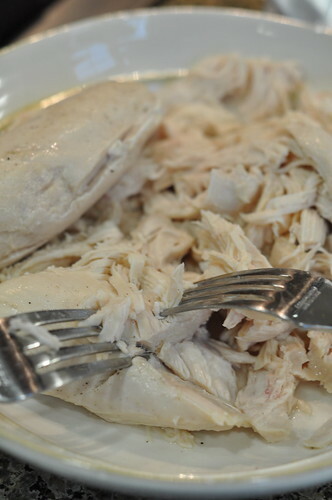 Place chicken breasts in a heavy pot and cover with the chicken broth. (You want the chicken broth to cover the chicken by about an inch. 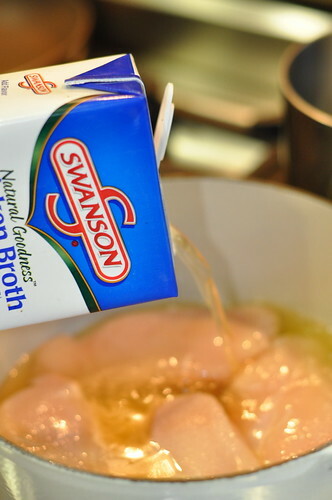 If it doesn’t, add more chicken broth.) 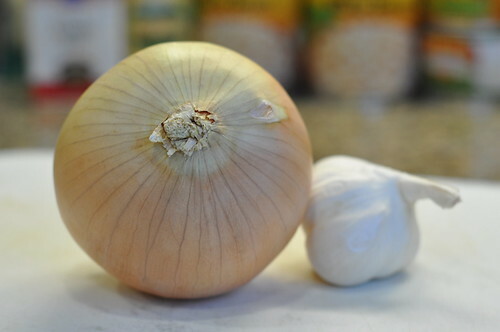 Bring to a simmer over high heat, then turn heat to low and simmer partially covered for about 8 minutes or until chicken breasts are cooked through. 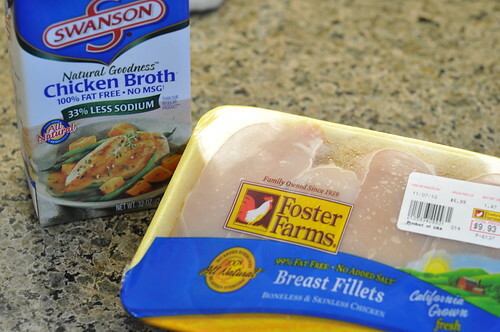 Remove chicken breasts to a plate and set chicken broth aside. Use two forks to shred the chicken. 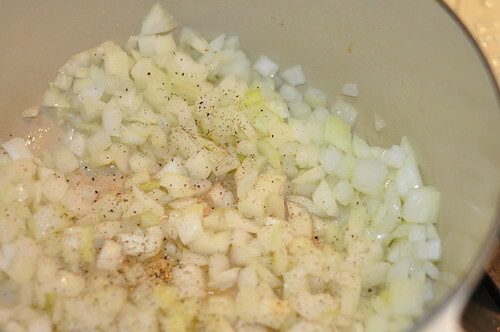 In another heavy pot (or the same one wiped out), cook oil and onion over medium heat until onions are soft. 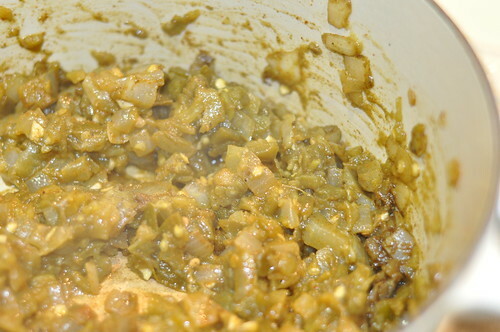 Add garlic, chilies, jalapenos, cumin, oregano, cayenne pepper, and bay leaf and cook over medium-low heat for 6-7 minutes, stirring occasionally. Meanwhile, in a heavy saucepan, melt butter over low heat. 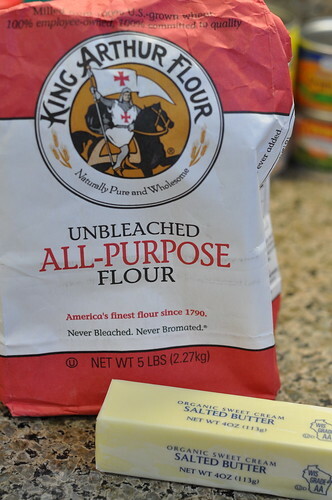 When it is totally melted, whisk in flour. Cook over low heat for about 5-6 minutes, stirring constantly with a wooden spoon or rubber spatula, until the mixture turns “blond” and has a nutty fragrance. 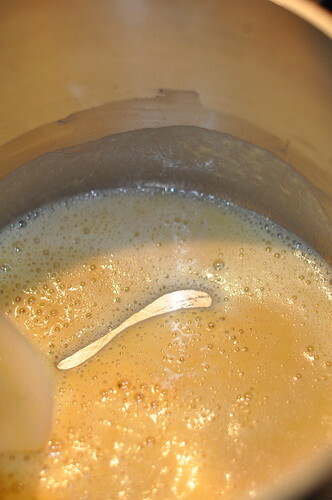 Now you’ve made a roux. 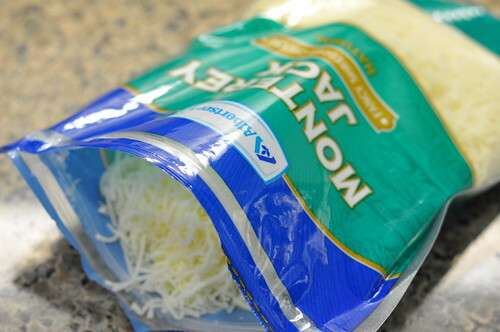 Serve topped with shredded cheddar cheese and/or sour cream. Also, I like mine over rice and with garlic bread. Oh, whatever. We’re as far from bathing suit season as we can possibly get — I say let’s enjoy it! 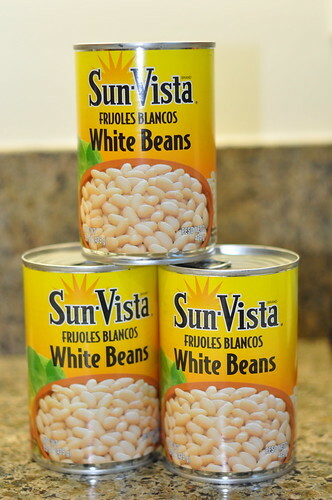 I love white chili, but never had the drive to make it on my own. Your photos and description really make dishes that seem a bit difficult easier. My husband will love this. Happy Eats! I was another one of the requestors that you do a post for this dish, so, I’m thrilled to see it here!! I will be sure and make a wimpy version of it, so thanks Also, didn’t post a comment the other day, but I think the name you picked for Baby Girl is lovely. I like that you included a little of both sides of the family in it. That’s so much more meaningful! 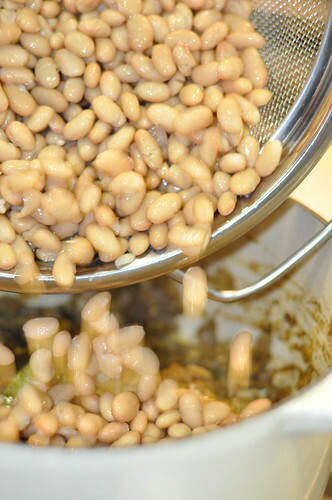 One of my all time favorite recipes! Headed to Mammoth this weekend and it is definitely on the menu for dinner one night!